Over 350 boiler flue gas economisers have been designed, manufactured and installed by ThermTech over the past 25 years. We supply economisers to a wide range of sectors including chemical, pharmaceutical, processing, industrial and manufacturing. A typical economiser will pay for itself in 6 to 18 months. The typical temperature of flue gases exiting the boiler are approximately 230 degrees celsius. This heat is lost up the chimney to the atmosphere, however, some of it can be recovered using a boiler flue gas economiser. 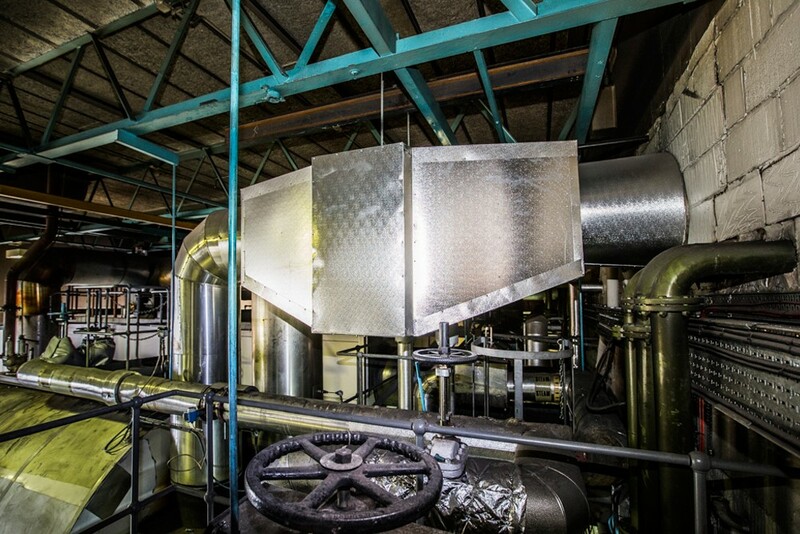 The economiser is located in the boiler flue gases and is then used to pre-heat the boiler feed water by using the heat in the flue gases to heat the water. Increasing the boiler feed water temperature results in less fuel being used therefore saving fuel costs and reducing CO2 emissions. Not only are typical fuel savings between 4% and 6%, return on investment periods are quite short, usually between 6 and 18 months. See more about economisers in our Case Study. For Economiser enquiries, fill in the form and email it to info@thermtech.co.uk or contact us.